Welcome to the "Official" Thorp Alumni Association (TAA) website, for graduates, attendees and faculty of Thorp High School (Wisconsin), and honorary members of the Thorp Alumni Association. We mean it when we say the "Official" TAA website . . . click here to read why! This site belongs to all graduates, attendees and faculty of Thorp High School (Wisconsin), and honorary members of the Thorp Alumni Association. We want to know what you would like to see on the site, in addition to the content presently available. Please let us know via email. Remember that this is the official Thorp (Wisconsin) alumni Web site and that there is no charge for anything on the site. We invite all graduates, attendees, and faculty of Thorp High School (Wisconsin), and honorary members of the Thorp Alumni Association to register their information with the Thorp Alumni Association. • NEW (4/5/2019): Our very special classes celebrating very special reunions this year are the classes of 1944, 1959 and 1984. Click here to read more information. • 45th Annual Reunion — The Thorp High School Alumni Association has begun work on its 45th annual reunion. Click here to read pertinent details regarding the reunion scheduled for June 29, 2019. 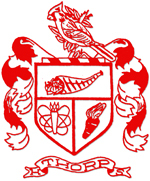 • Information Needed — In preparation for the next TAA reunion, the Thorp Alumni Association needs help in collecting the most recent information of all alumni of Thorp High School. Click here to read how you can help the TAA collect information. • Yearbooks — The Thorp Alumni Association has a big surprise for you! We recently were blessed with the complete collection of Thorp High School yearbooks from the family of Joseph Pawlak '45. He also had some Gilman High School yearbooks, too, which we received. Click here for an updated list and ordering information. Also available for purchase is the 2015 TAA Directory, complete with the 2015 and 2016 updates. They make great gifts at any time of the year! • Bringing Friends Back Together — The Thorp Alumni Association held its 44th annual reunion on Saturday, June 30, 2018. Click here to read the report of the day's events. • Volunteer Help Wanted! — The Thorp Alumni Association is looking for a volunteer secretary to take over when our current secretary, Bettie Butek Valek ('61), steps down in July 2019. Click here to read more about the job. • TAA now on Facebook — In addition to the TAA website, the TAA has set up a Facebook page for all of our alumni to enjoy. Check it out soon. To be sure you have our site, there is a picture of the name from the school building used for the cover photo on the main page. • Click here to read a report about the 43th Annual Thorp Alumni Association Reunion held Saturday, June 24, 2017. • The Thorp High School Lady Cardinals softball team won the 2016 WIAA Division 4 state championship in Madison. Click here to read articles about the team written by Annaka Isenberger of the Thorp Courier, and to view a team photo. • The 2015 edition of the Thorp Alumni Association Directory is now available for purchase. The price is $15 per copy if you pick it up or $22 per copy if you need it mailed. Send your request and check made payable to: TAA, PO Box 75, Thorp, WI 54771-0075. If you have questions, call 715-723-4708 or 715-669-5468. • Thorp High School welcomed back former students and members of the basketball program on Saturday, Jan. 3, 2015. Click here for more information about the alumni basketball event and to read articles by Annaka Isenberger of the Thorp Courier about memorable seasons and players in Thorp basketball history.